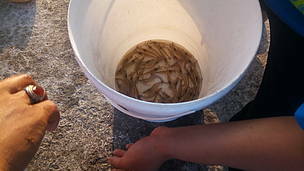 Since joining Seafood Savers in 2017 and registering whiteleg shrimp (Litopenaeus vannamei) as the target of Aquaculture Improvement Program in East Java, PT Mega Marine Pride (PT MMP) accompanied by WWF Indonesia begins to carry out various activities from technical and non-technical aspects in cultivating shrimp. 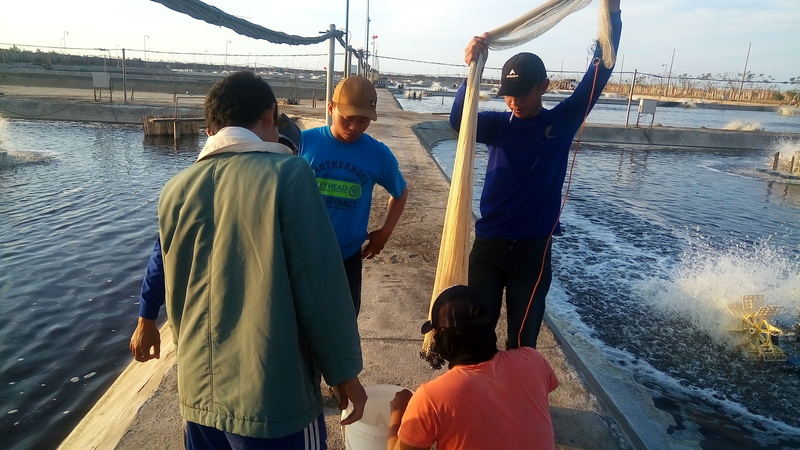 Improvement program is carried out in order to meet all aspects required by the ASC-shrimp (Aquaculture Stewardship Council) principle for the supplier, PT Delta Guna Sukses (PT DGS). Aspects that must be met cover any improvement for the surrounding environment, including the maintenance of high conservation value areas and social aspects of community and employment. Throughout 2018, the company has made significant improvements in their aquaculture technical practices. The company forms and implements several SOPs (Standard Operating Procedures) and internal policies. The policies implemented include prohibition of hunting animals around the ponds and annual mangrove planting, employment which includes workers' social welfare and safety and also the use of any additional materials supporting the shrimp aquaculture practice. In the social aspect, as a manifestation of the company's concern for the welfare and public health issues, PT Mega Marine Pride and PT Delta Guna Sukses consistently carry out free medical treatment programs and free basic food distribution carried out every month to all communities in Gumuk Mas Village, Jember Regency. PT Delta Guna Sukses also conducted a Program Cetak Sawah conducted on September 13, 2017 in Gumuk Mas Village. In addition, PT Delta Guna Sukses provides a suggestion box and actively coordinates and communicates with the community as a manifestation of the company's openness to criticism and input as well. In terms of environment issue, an important aspect in intensive cultivation method is to reduce potential pollution due to waste generated from the aquaculture practices. To overcome this, WWF-Indonesia encourages PT Delta Guna Sukses as the party to apply the ASC and PT Mega Marine Pride certification to make an IPAL (Waste Water Treatment Plant) to reduce any impact of pollution in the surrounding area. PT Mega Marine Pride and PT Delta Guna Sukses then built up an IPAL by providing 9 hectare land to collect waste water from the pond. 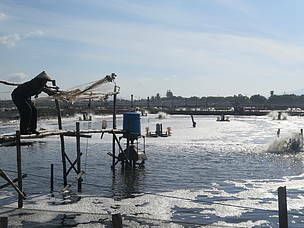 IPAL is built as a treatment of wastewater from aquaculture ponds into decent quality water that does not pollute when disposed of in the surrounding waters. Land functioned as an IPAL will also function as a conservation land since there are various species of animals such as beavers, big egrets, eagles and overgrown by various types of mangrove trees such as Rhizophora sp., Avicenia sp., Ceriops tagal and Nyfa fruticans. In the whole process of improvement activities, PT Mega Marine Pride also involve the government, including the Fisheries Offices, Water Resource Development Offices and the Environmental Service Offices of Jember Regency, East Java. The government is the form of monitoring water use, handling waste and handling shrimp diseases. 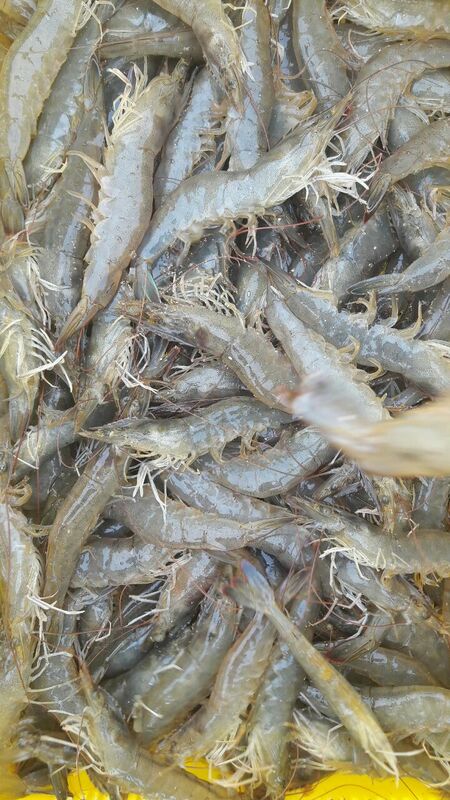 PT Mega Marine Pride actively coordinates with the Jember Regency Fisheries Office in the prevention and spreading of shrimp diseases. The step taken is to carry out disease testing and test pond water content in a sustainable manner. PT Mega Marine Pride actively coordinates with the Jember Regency Fisheries Offices in prevention and spreading of shrimp diseases. 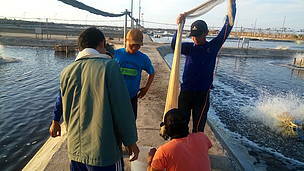 The step taken is to carry out disease testing and test pond water content in a sustainable manner. In addition, with support from FFPI (Fish and Forest People Indonesia) conducted a BEIA (Biodiversity Environmental Impact Assessment) and pSIA (Participatory Social Impact Assessment) studies in January-March 2018 at the PT Delta Guna Sukses and Gumuk Mas Villages, Jember Regency, Java East. The purpose of providing these documents is to figure out the biodiversity, the value of environmental services and the socio-economic and cultural values ​​in the community that are in and around the pond area. From the results of this study farmers will get instructions or steps on how to be able to do cultivation without causing impacts on the biodiversity and social community. In the end of 2018, PT Mega Marine Pride and PT Delta Guna Sukses has completed almost all requirements of ASC-shrimp standard. As a follow up to the entire series of improvements that have been conducted, in June 2018 PT Mega Marine Pride has submitted an application for ASC-Shrimp certification to one of the Certification Agency Bodies (CAB). The expected output of this process is that PT Mega Marine Pride and its suppliers will later succeed in obtaining ASC certification as a proof that their shrimp farming is already responsible for the environment and social society. 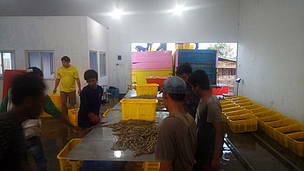 Not only limited to the acquisition of certification, companies and WWF believe that all efforts to improve the shrimp aquaculture that have been carried out will contribute significantly to the acceleration of sustainable fisheries in Indonesia.